This space is perfectly located for Fashion Week Showrooms in Palais Royal close to The Louvre. At 300 sq m it is a brilliant space for Fashion Showrooms, Exclusive Events and Private Sales. 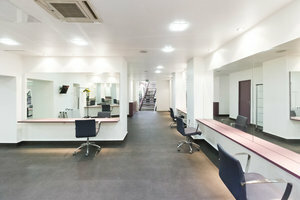 The interiors are modern with an open plan and mirrors throughout which multiply the light creating a bright atmosphere. White walls and a gray floor coupled with high ceilings create a minimal feel to the space. 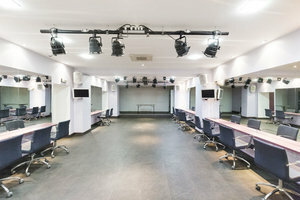 The space has a reception area and a range of furniture making it flexible, well-equipped and able to accommodate a range of event types. 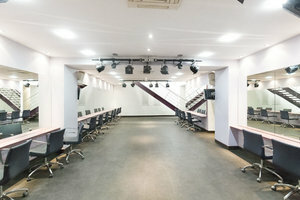 This space is located in a prime area that is ideal for Fashion Week. Close to The Louvre this space is in a highly sought after area, a brilliant spot for brands wanting to be at the centre of the action during Fashion Week.